A man injured when the vehicle he was a passenger in came off the road has died, police have said. The 37-year-old suffered serious injuries and had to be freed from the Peugeot Boxer van by the fire service following the crash in Middlemarsh, Dorset, on January 26. He was airlifted to Southampton General Hospital but has since died from his injuries. 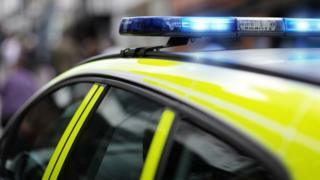 The driver of the van was arrested on suspicion of driving offences. The 43-year-old man from Somerset was taken to Dorset County Hospital by ambulance as a precaution. He has been released under investigation as officers continue to make inquiries. Dorset Police are appealing for anyone with information or dashcam footage to contact them.